Everyone knows laughter is the best medicine and is great for health. However in this high-pressure, high tension modern world, there are not many reasons which make us laugh. Through Laughter Yoga, be in for an extended period of hearty laughs since it is being done as a physical exercise and not a mental process. 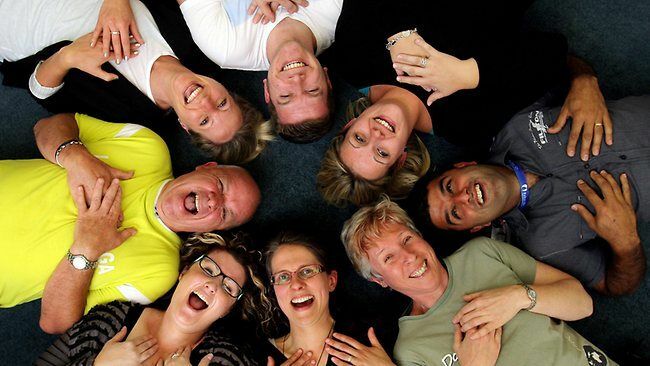 Conducted by Joyologist, Dr Yvonne Looi, Laughter Yoga is a unique exercise routine, which combines laughter exercise and yogic breathing exercises. Initiated as a group exercise with plenty of eye contact and childlike playfulness, Laughter Yoga is the perfect setting for real and contagious laughter. With ample opportunities for interaction and team building elements, join us for a 90-minute series of fun and creative workout you will experience, learn and love! The event will be at Raffles Place MRT Stn, Exit B, Street Level.